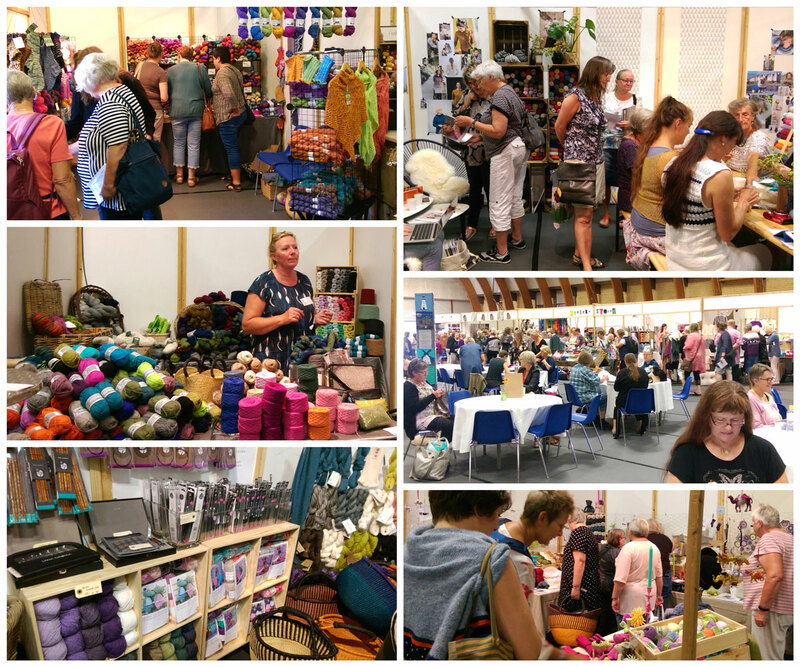 Several of my favorite yarn sellers were there. One of them was the shop Knitting Corner (Strikke-hjørnet). 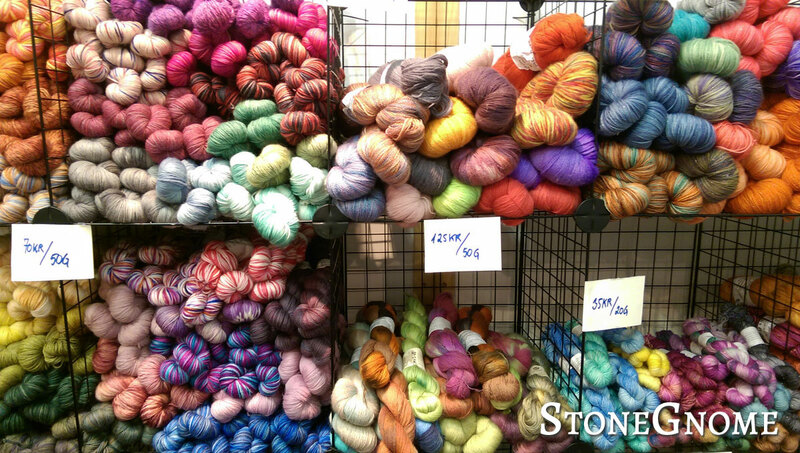 The owner - Jette - has exclusive quality yarn primarily from natural fibers - at reasonably prices. She has also been very helpful, when I needed a single ball of yarn in a special weight and color. 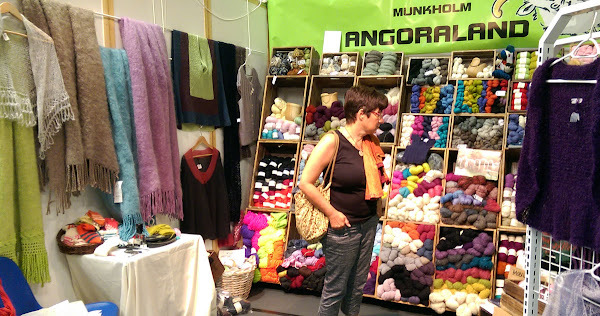 Another one is Munkholm Angoraland. They run a mini-Zoo, a wellness center and then they sell GREAT wool yarn, including a lot of lace-weight wool. They also create their own yarn from the angora rabbits and mohair goats living in the mini-Zoo. Do I need to say more? 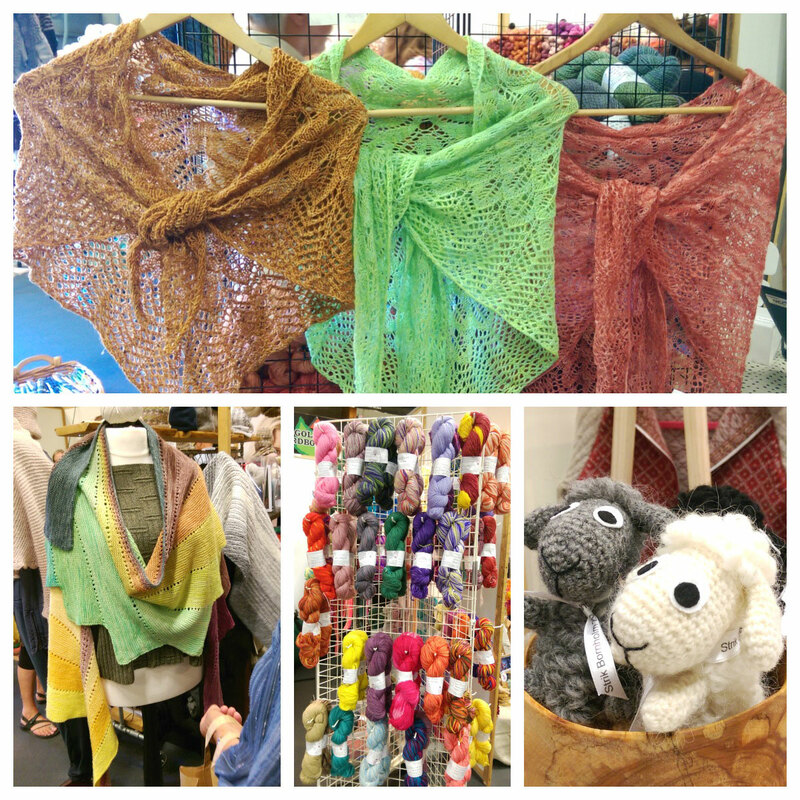 Another yarn explorer and shop-owner is Paulette from Magical Yarns. She must be working hard to find interesting and special things for yarn-lovers. I bought some of her Japanese Wool Crepe - Lace weight. It is also called High Twist or Collapse Yarn. It will do magical things to your work when washed. Take a closer look at the orange scarf far right in the picture below. WARNING! She also told me The Wool Crepe only works with knitting. It doesn't work, when you crochet with it! I'll give it a try though. And I think, I'll try Tunisian Crochet first, as it is closer to knitting. 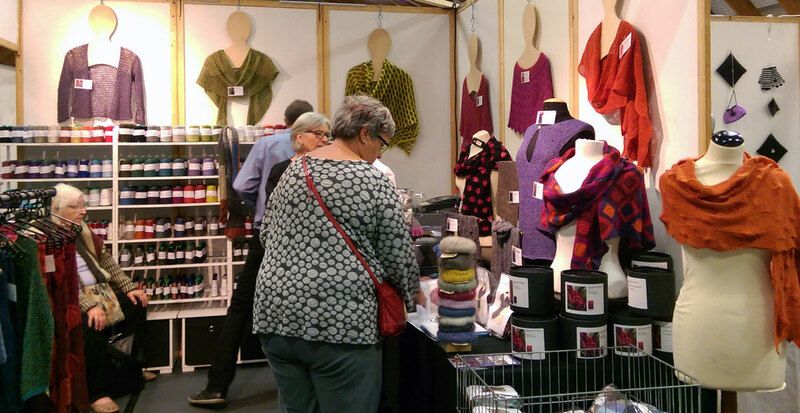 The heavy woolen sweaters were present and they might be needed at cold winter nights. But I think, the trends right now are pointing at lace weight and bright colors. Even though I've heard that Danes are known for their dark clothes and some other Nordic countries for more brown colored yarn. 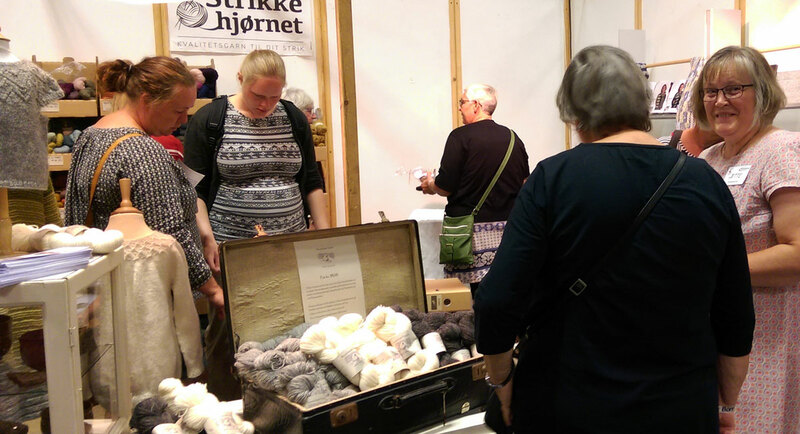 The arrangement is called Strik-Bornholm (Knit-Bornholm) and despite the name, it is not only for knitters. They also have workshops for people doing crochet. Check out Strik-Bornholms website or Strik-Bornholms Facebook page for more.